KCRW Good Food Producer Gillian Ferguson shares highlights from farmers’ markets around Los Angeles along with tips from chefs and growers on how to best use what’s in your basket. Imagine a world without the sugar snap pea. What crunchy verdant vegetable would we pair with mint and ricotta? What would we snack on whilst strolling the late spring farmers’ market? 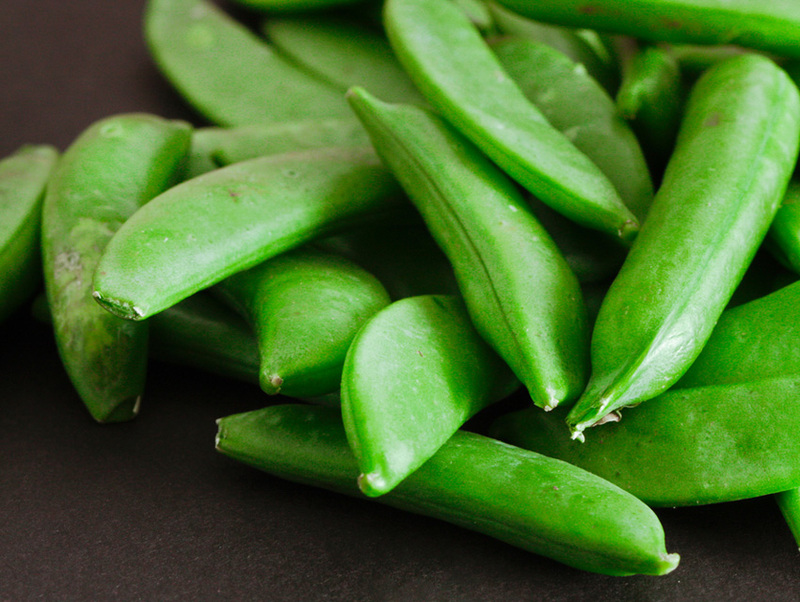 It’s crazy to think about, but the snap pea as we know it is just 35 years young. Michael Pollan’s rule for eating foods our grandparents would have recognized doesn’t hold true for the sugar snap. Even Spam and Coca-Cola have been around longer. When I called Lamborn earlier this week, the 81 year old farmer was en route to Lake Moses, Wash. to check on some of his newer peas. 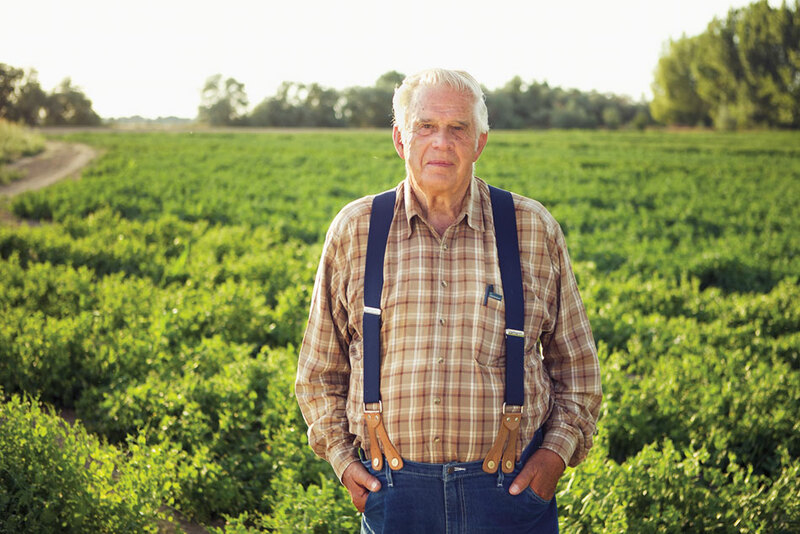 Since his retirement at age 63 he has continued to cultivate new varieties on a 4.5-acre farm in Twin Falls, Idaho. Chefs may disagree. The Lamborn pea tendrils and purple snap peas made Calvin an instant celebrity at the Union Square Green Market. Chefs like Wylie Dufresne fell in love with them early on at WD-50 and today you can spot them on the menu at Per Se and The Breslin. 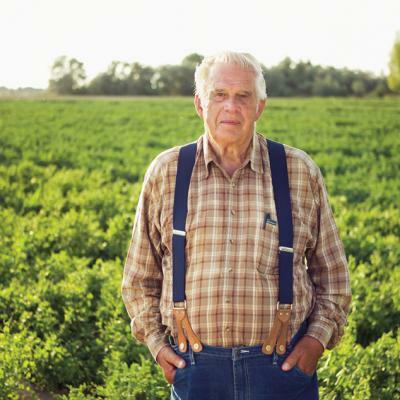 Until last year, farmer Rick Bishop of Mountain Sweet Berry Farm in Roscoe, N.Y. was the only one to grow and sell Calvin’s peas. Today, under the stewardship of his son Rod, Calvin’s peas are reaching a wider audience. I first spotted the purple Royal Snow peas at Coleman Family Farms a few weeks ago alongside a crate of maroon snap peas. 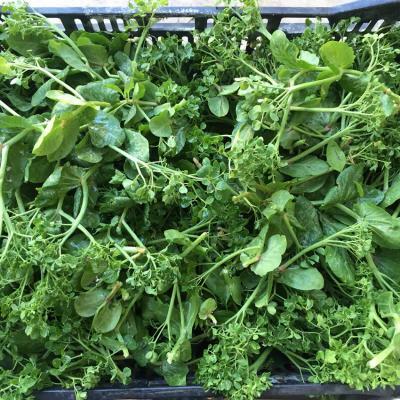 Further down the table was a loosely packed mound of Lamborn pea tendrils selling for $20/pound. So far, Romeo Coleman and Barbara Spencer of Windrose Farms are the only Southern California growers allowed to grow the specialty varieties (growers have strict contracts with the Lamborns to ensure quality control). In Northern California, Calvin’s Peas have reached dinner plates at the restaurant at Meadowood, Saison, and French Laundry, and news of the “Snap Pea Sensei” is traveling fast. This is likely, in part, to Rod Lamborn who works primarily as a cinematographer in New York City. His camera skills make it a pleasure to follow the company on Instagram and his relationships with a select group of chefs and growers has put the specialty crop in vetted hands. 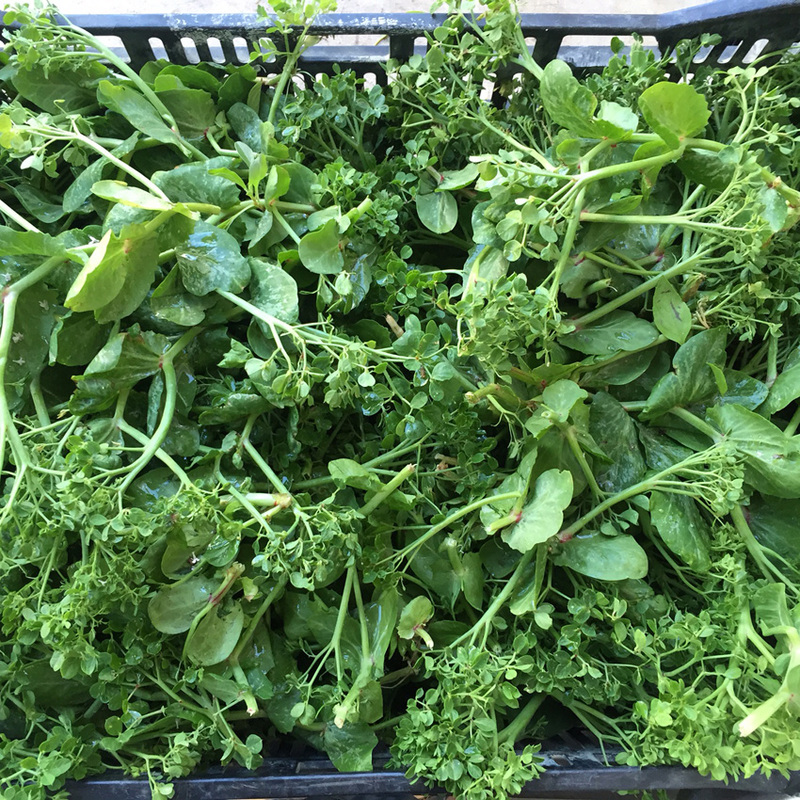 Look for Lamborn pea tendrils at Coleman Family Farms at the Wednesday and Saturday Downtown Santa Monica Farmers’ Markets. What’s So Great About Ramps Anyway?